Superdry men’s Everest Parka jacket. Offering both style and warmth, this hooded jacket features a detachable faux fur trim, zip and button fastening, ribbed cuffs and four front pockets. The quilted lining offers extra warmth and the internal pocket is a great place to keep your keys and phone. 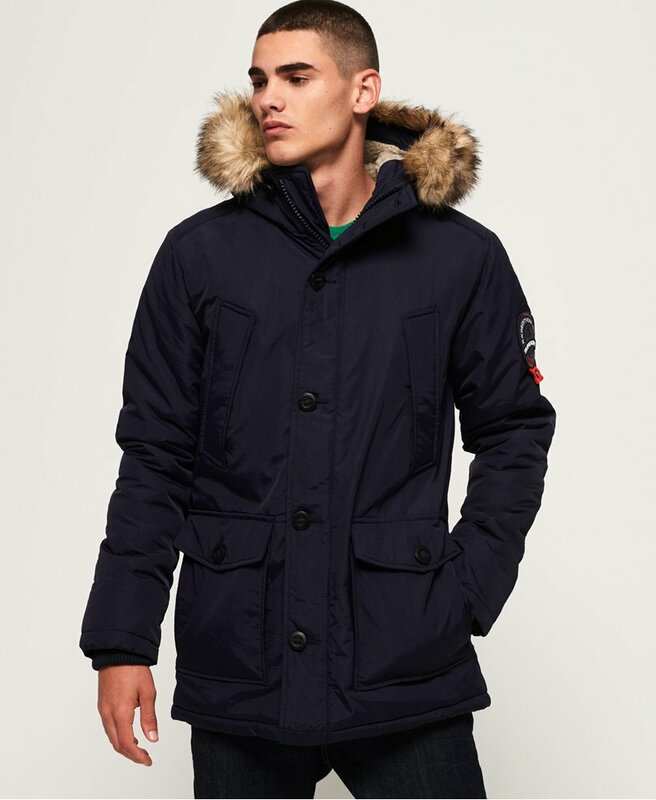 Finished with a bungee cord adjustable waist for your perfect fit and a Superdry logo badge on one sleeve, the Everest Parka is a must have piece for your outerwear collection this season.